Want to learn more about the Miniature Schnauzer? Well, you've come to the right place. 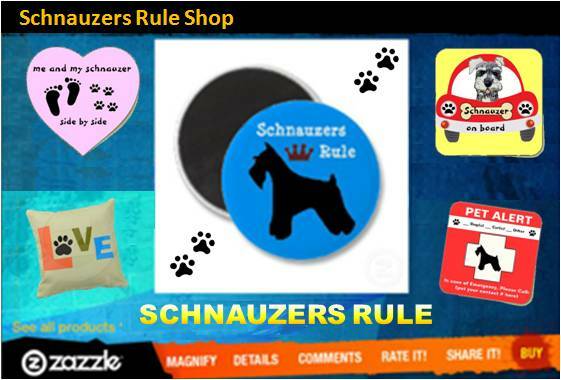 Schnauzers Rule is an all-inclusive website designed just for you, the Schnauzer lover. So just what is about this dog breed that's so special? It's really impossible to list all the great things about these dogs but to give you an idea of what to expect, they are very intelligent, fearless, loyal, super sweet, loving, and down right charming! In fact, Schnauzer owners are often heard saying that owning one is like having a little bearded baby. Since most of them never reach a weight of more than 15 pounds, the breed remains one of the most popular world wide. Mini Schnauzers are always ready to learn something new, go on outings with the family, or just cuddle up with you on the couch. They're just perfect! Minis also love to be the center of attention and take pleasure in pleasing their owners. They are both obedient and entertaining. You can always count on your Schnauzer to do something that will bring a smile to your face on a daily basis. If you already own one, you know just what we mean... and if you don't own one yet, you will want one after learning more about them. So, get comfy and let's explore the wonderful world of this adorable small dog breed. Ah, the Mini Schnauzer, the adorable small dog breed that will win your heart with its engaging personality and childlike mannerisms. This elegant dog breed of the terrier group is completely devoted to its family members and known for being obedient to commands, super intelligent (which makes training one a breeze) and always on alert, so they're great watchdogs. Another reason these little bearded pups are so popular is because of their non-shedding coats. 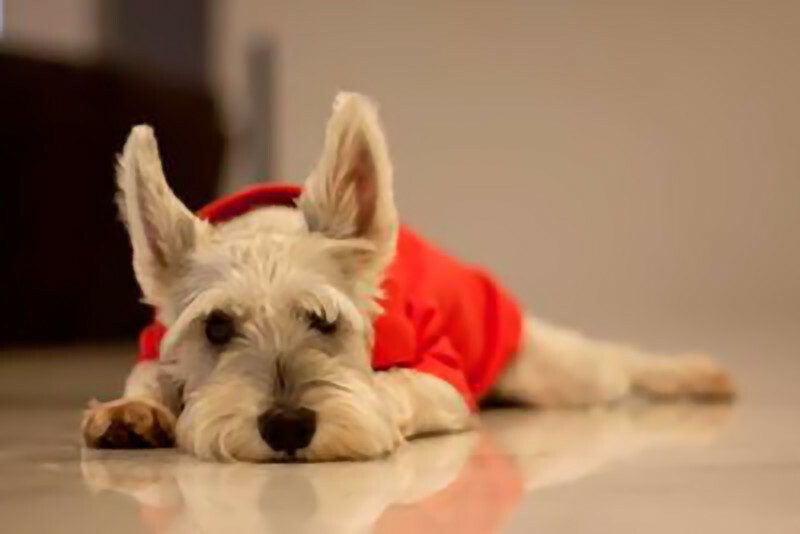 This makes the Miniature Schnauzer the perfect canine companion for allergy sufferers (see Hypoallergenic Dogs) plus these dogs do well living in the city or the country. Standing just 12 to 14 inches tall, Miniature Schnauzers are usually recognized for their prominent features which include bushy eyebrows, mustache, and beard! Just check out these cuties: Schnauzer dog pictures and their coat colors include black, black & silver, salt & pepper, and white. and allowing you a place to share your own pictures and stories with us, enter our monthly dog photo contests, go shopping for your furry friend, and so much more. less time on-line and more time on-leash! Begin exploring the wonderful world of this energetic, loving, and loyal dog breed by clicking on an icon below or using the navigation bar on the left. Hi, I'm Athena and I want to personally welcome you to Schnauzers Rule. My hope is that you will not only enjoy our site, but that you will also participate by sharing your Schnauzer stories and photos with us. We would love for you to become a part of our ever-growing Mini Schnauzer lovers community. Together we will learn about dog training and dog health and most importantly Schnauzer health concerns. We will laugh together (Schnauzer Fun Times) and we will cry together (Schnauzer Tributes). So don't be shy. Jump right in and start exploring all we have to offer. Thank you for visiting and sharing your knowledge and passion for this amazing dog breed and helping us spread the word that SCHNAUZERS RULE! Arrooooo! So, go ahead and link onto any word or product image you're interested in finding more about. You won't have to worry about losing your place OR need to constantly click the back button on your browser to find us again! note: Schnauzers Rule receives a small commission from affiliate links and third-party advertising. 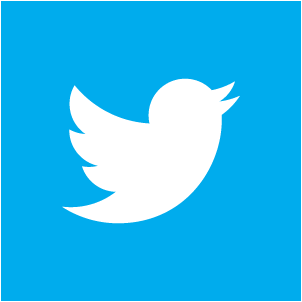 Click here to read our full Advertising Disclosure Policy.